n. The official approval by a government of a proposed envoy from a foreign government. 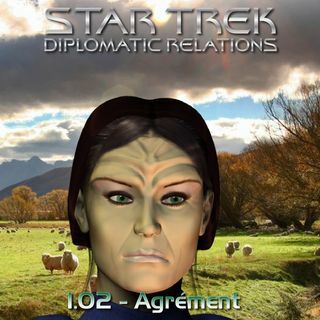 After attending a formal party in her honour, Jessica Kingsley reflects on the reason why she was assigned as the Federation Ambassador to Tahn’Los. She remembers her initial visit to the planet and the first time she met several key members of the planetary government, and the difficult situation they faced.